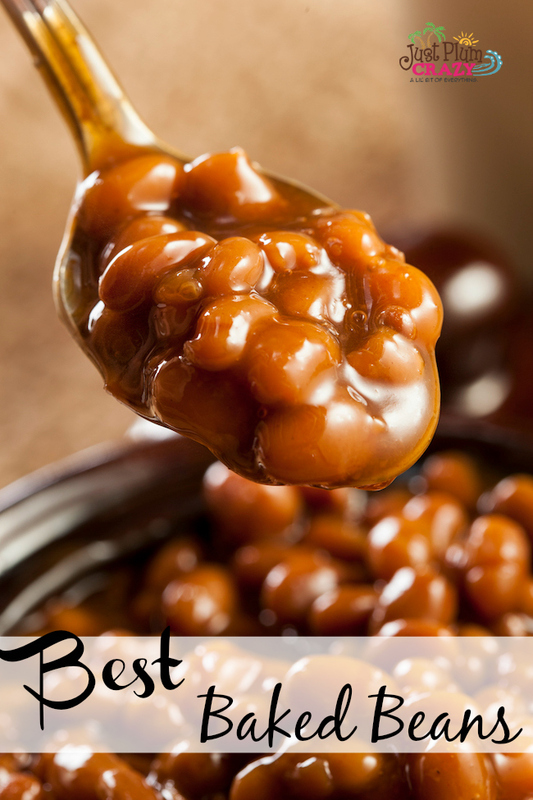 The Best Baked Beans Recipe is brought to you by Just Plum Crazy. 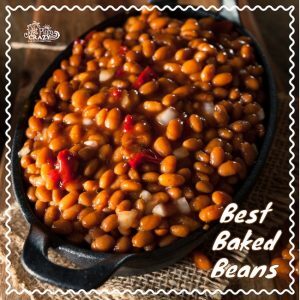 Everyone loves a good baked beans recipe especially if they are homemade and not straight from a can. 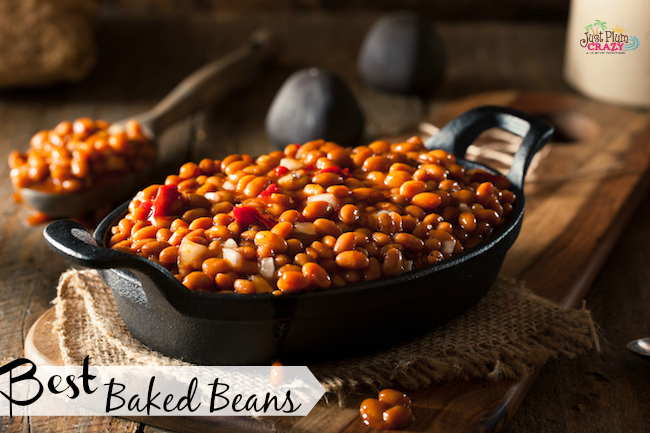 This is one of our best baked beans recipe that we used for in our family for decades. And now you too can make them for your next get together. 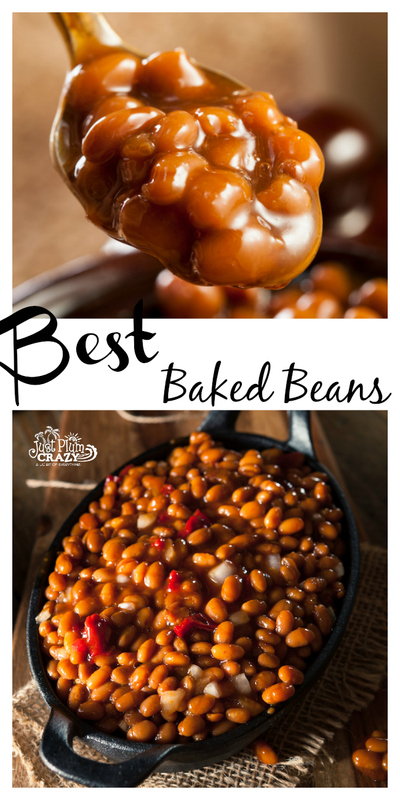 Beans are a tremendously healthy and inexpensive food. They’re a great alternative to meat for health seekers and budget minded people. 2. Sauté onion in olive oil over medium high heat until it starts to soften. 3. Add 1 pound center-cut bacon and cook until crispy. 4. With a vented spoon, remove bacon and onions from pan and place on folded paper towels. 5. Blot with extra paper towels to remove as excess fat. 6. Add ketchup, sugar, brown sugar, white vinegar and mustard to a large oven-proof dish. 7. 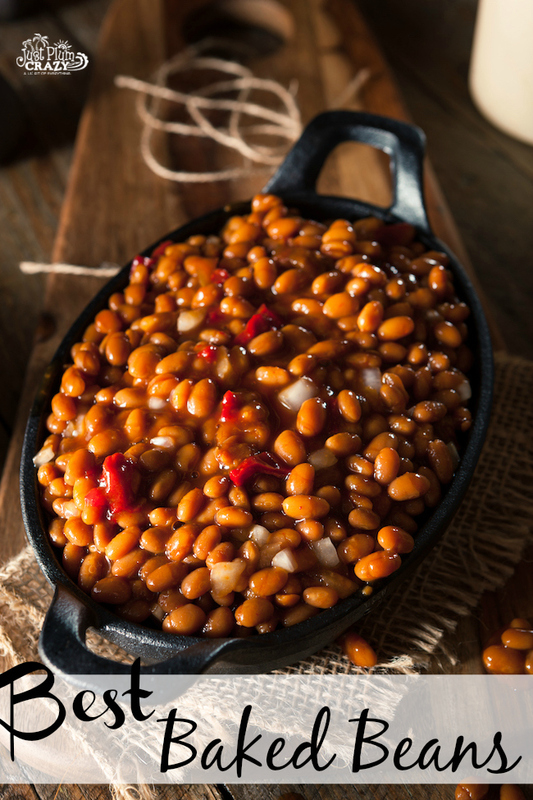 Add drained kidney and butter beans along with undrained pork and beans. 8. Add bacon and onions to bean mixture. Stir well to combine. 9. Bake uncovered at 350° for 45 minutes. This is one of our best baked beans recipe that we used for in our family for decades. And now you too can make them for your next get together. Sauté onion in olive oil over medium high heat until it starts to soften. Add 1 pound center-cut bacon and cook until crispy. With a vented spoon, remove bacon and onions from pan and place on folded paper towels. Blot with extra paper towels to remove as excess fat.